This Gator Cases Rack Rail is designed for 6 RU rackmount cases. 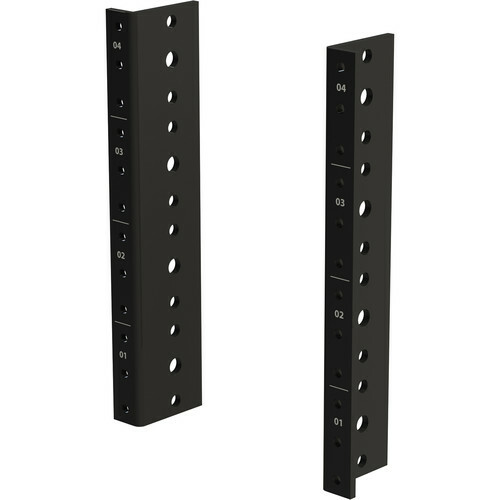 It features holes punched and tapped for 10-32 screws. The Rack Rail is constructed out of cold-rolled, 16-gauge steel. Box Dimensions (LxWxH) 11.6 x 1.85 x 0.85"
Rack Rail for 6 RU Rackmount Cases is rated 5.0 out of 5 by 1. Rated 5 out of 5 by Paul from works as advertised I bought these and put them into a road case. They do their job, so thats a thing.